Sign or Read the Guest Book? Thanks! Welcome to KuesterLaw! 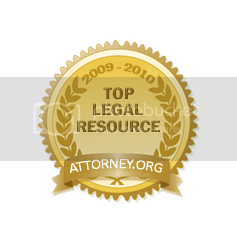 This website is intended to be the most comprehensive resource on the Internet for information related to Technology Law, especially including Intellectual Property law, and is maintained by Jeffrey R. Kuester, a patent, copyright & trademark attorney in Atlanta, GA working with the law firm Taylor English Duma, LLP. Jeff can be reached at jeff@kuesterlaw.com or 770-434-6868. KuesterLaw has reportedly been the most linked-to intellectual property website on the Internet, received a 1st Place award by the National Law Journal, was rated among the Top 5% of all sites on the Internet by Point Survey, received a Magellan 4-Star Award for depth of content, ease of exploration, and net appeal, was found to be a Starting Point Hot Site, was Clearinghouse Approved, and was awarded the Gold Webbernaut Award as one of the best legal websites on the Internet. The KuesterLaw website was founded in March of 1995 and continues to be purely a public resource of general information which is intended, but not promised or guaranteed, to be correct, complete, and up-to-date. However, this website is not intended be a source of advertising, solicitation, or legal advice, thus the reader should not consider this information to be an invitation for an attorney-client relationship, should not rely on information provided herein, and should always seek the advice of competent counsel in the reader's state. The owner of this website is an attorney licensed only in Georgia and with the United States Patent and Trademark Office. The owner does not intend links on this website to be referrals or endorsements of the linked entities, and the owner of this website will not accept referrals for employment from unregistered referral services. Furthermore, the owner of this website does not wish to represent anyone desiring representation based upon viewing this website in a state where this website fails to comply with all laws and ethical rules of that state. Finally, the use of Internet e-mail for confidential or sensitive information is discouraged. Finally, the owner of this website freely grants permission to anyone wishing to link to this website; the owner will gladly remove any link from this website upon request from the linked entity; this website is not sponsored or associated with any particular linked entity unless so stated by that entity; and the existence of any particular link is simply intended to imply potential interest to the reader. Copyright 1995-2010 Jeffrey R. Kuester.